Wildlife, Mammals, Birds, Nature,Interesting Facts and much much more! 'Life' from the South African Bush. 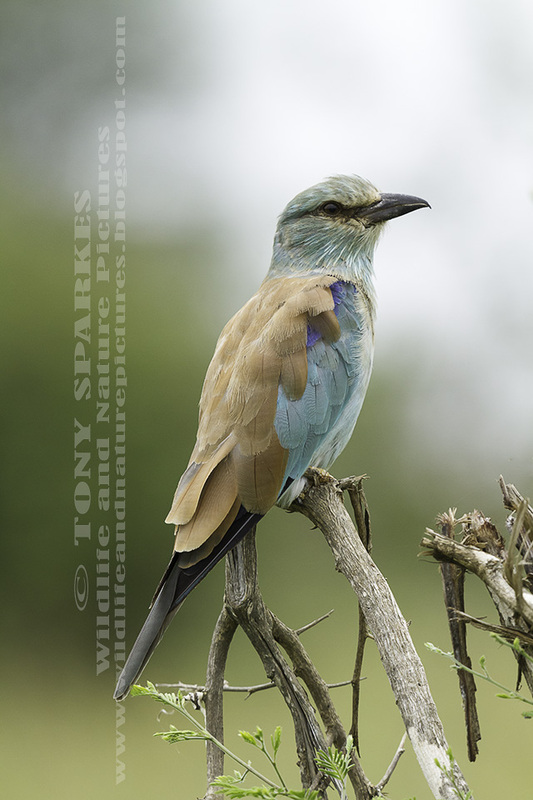 With five species of 'Roller' in South Africa the European Roller (Coracias garrulus) is quite common but is one of the largest of the 'Rollers' species. The European Roller is a summer migrant from Europe which is called here in South Africa a 'Paleartic Migrant'. Being a bird of warmer climes the European Roller will in the next few weeks start heading back to North Africa/Europe/Middle East. All images and text are copyright of © Tony Sparkes. Simple theme. Powered by Blogger.